Description: Experience luxurious living right at the high end residential resort community in Maribago area, which is just walking distance to well known beach resorts in Mactan Island. If you buy this house, you will have a lifetime privilege access to a beach resort of the subdivision – where there are complete amenities from water sports to accommodation rooms for your guest, restaurants, swimming pool, conference room, white sand beach shoreline. The house is a two storey structure which consist of one guest room, living areas, dining areas, dirty kitchen, main kitchen, wine bar, storage rooms, a patio, washing room, powder room on the ground floor and two maids quarter with toilet, on the 2nd floor it consist of five bedrooms and three toilets and baths – with hot and cold running water, private family living area, common terrace/balcony, master’s bedroom with walk in closet-toilet and bath. The house is polished with elegant furnitures and hanging wall decors. House is fully furnished except for the cars and the liquors on the wine bars. So hurry take this one now! An ideal place to live. Nice neighbors, so quite surroundings, with 24 hours security guard – every after two hours security personnel will roam around the subdivision. 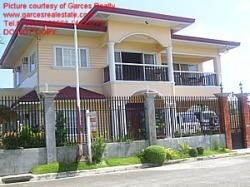 If you are looking for a place to own – have this one and you will never regret to have it! Note: There is a lot more pictures on this property, if you are interested, please feel free to ask. 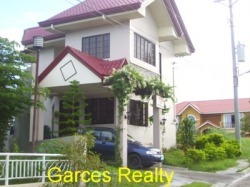 Description: A 1 YEAR OLD HOUSE AND LOT LOCATED IN A HIGH END SUBDIVISION IN CONSOLACION, DEVELOP BY ABOITIZ LAND, THIS IS 2 STOREY HOUSE AND 4 BEDROOMS, 1 MAIDSROOM, 3 TOILET AND BATHS, NEAR TO THE MALLS OR SHOPPING CENTERS, HOSPITAL, BUSINESS CENTERS AND RECREATION CENTERS.